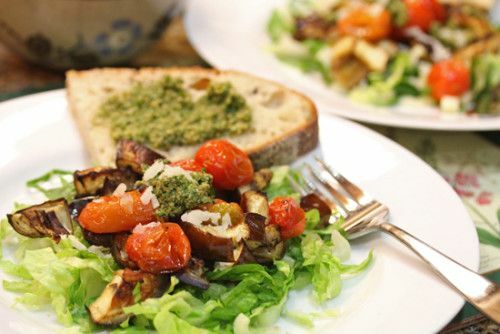 Our MAIN DISH SALADS COOKING CLASS on June 9 is a perennial favorite. It will kick-start the summer picnic season. Don’t miss it! Are you craving a salad? A delicious salad with fresh vegetables, fresh fruit, fresh anything? A salad that will fill your tummy with good healthy things? Come join our Main Dish Salads Cooking Class on Thursday, June 9 at the Holy Nativity Community Hall in Westchester and get some new salad ideas for your summer cookouts. You will also learn how to make your own salad dressing in five minutes or less from numerous ingredients to choose from. After learning the formula for making your own salad dressing, you will never buy bottled salad dressings again. No half-empty bottles filling the shelves of your refrigerator, since you will want your salad dressings to be fresh. Patricia K. Rose, of Fresh Food in a Flash will lead this hands-on cooking class on Thursday, June 9, 2016, 6:00-9:00 at the Holy Nativity Community Hall in Westchester. Cooking Class fee is $50 when you reserve by June 6, $55 thereafter if space is available. To reserve your spot, fill out the form below. Cooking Classes held at the newly remodeled Holy Nativity Community Hall, 6700 West 83rd Street, Westchester, CA 90045. Thanks for signing up! Remember, the Cooking Class fee is $50 when you reserve by June 6, $55 thereafter if space is available. We'll check in with details!